I was out of town the week before last and came home to a near-empty fridge and a series of dinners that I can’t even recall right now, they were so unmemorable. I think there was a lot of cereal. And plain spaghetti. -In one shallow dish, spread out the flour and cornmeal and combine well. Pour the yogurt into another shallow dish and season generously with salt and pepper. -Heat about two inches of vegetable oil in a frying pan over medium-high heat. 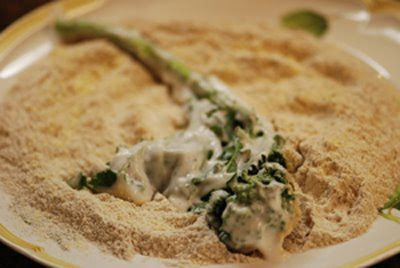 -Meanwhile, one at a time, dunk each stalk of broccoli rabe into the yogurt then coat with the flour mix. Lay the coated broccoli on a baking rack. Once all the broccoli rabe is coated, fry until golden in the hot oil. Make sure the broccoli bubbles somewhat violently when you place it in the oil: if you try in cool oil you’ll have a wilted, soggy mess. Also, don’t overcrowd the pan. 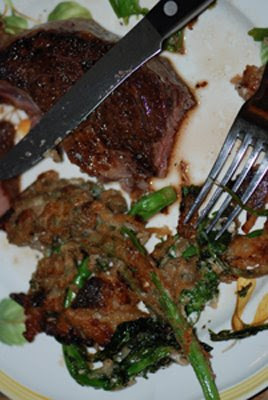 Transfer the fried broccoli rabe to a paper towel-lined plate and sprinkle with salt. -Set water to boil in a large pot. -Separately, in a small saucepan, start the wheat. Heat about 1 tablespoon olive oil over medium-high heat. Add the bulgur wheat and cook, stirring, until deep golden and toasty. Add dates, 1 teaspoon salt, a few generous grindings of pepper, and water. Boil until the wheat’s surface is visible, reduce the heat to low, cover, and cook until all water is absorbed, about 15 minutes. Set aside. 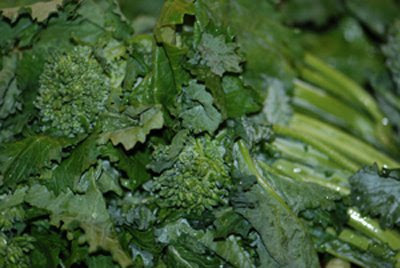 -Cook broccoli rabe in boiling water with 1 tablespoon salt until tender, 2 to 3 minutes. Drain, run under cold water until cool enough to handle, drain again, and transfer to a cutting board. Coarsely chop broccoli rabe. -Heat 2 tablespoons oil in a large skillet over high heat. Add garlic and red pepper flakes and cook, stirring, 1 to 2 minutes. Add broccoli rabe and sauté until heated through, about 3 minutes. Season with salt and pepper. 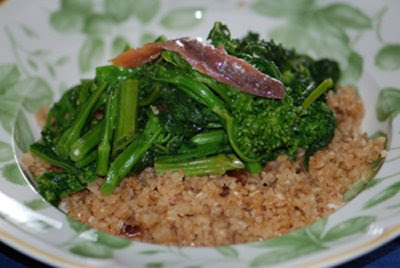 -Serve broccoli rabe atop bulgur wheat. Top wih anchovy fillet. -Set water plus 1 tablespoon salt to boil in a large pot. -Heat 1 tablespoon oil in large skillet over medium heat. 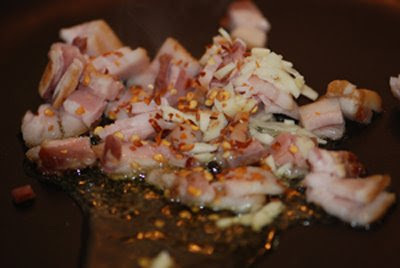 Add bacon, garlic, and red pepper flakes and cook, stirring, until bacon is cooked through. If bacon begins to burn, lower the heat. -Cook broccoli rabe in boiling water until tender, 2 to 3 minutes. Do not drain water: transfer broccoli rabe with tongs to colander set over large bowl. Run broccoli rabe under cold water until cool enough to handle, drain again, and transfer to a cutting board. Coarsely chop broccoli rabe. 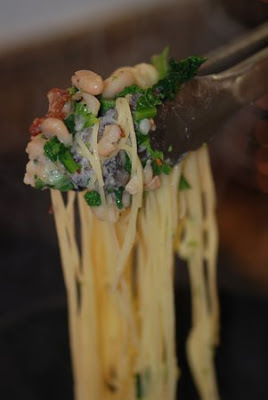 -Add cannellini beans to bacon skillet and cook 2 to 3 minutes. Add the broccoli rabe and cook until heated through, about 3 minutes. Season with salt and pepper. -Add pasta to boiling water and cook until al dente. Reserve ¼ cup of cooking water, then drain pasta and return to pot. Add 2 tablespoons olive oil, reserved water, and broccoli rabe mixture. Toss to coat and serve with grated parmesan. I wish I could say I’d been off summering somewhere fabulous and glitzy, but the reason behind my long absence is much more plebeian and pedestrian: I started working and have been acclimating to my new situation. That being done, I am now back and ready to start feeding the blog – it’s looking a bit gaunt at the moment. -In a pie plate or shallow bowl, whisk together milk, eggs, 1 TBSP. sugar, salt, and vanilla. -Heat a large nonstick skillet over medium-high heat and add 1 ½ TBSP. butter. When the butter begins to foam, sprinkle the skillet with 2 TBSP. sugar and 1 tsp. cinnamon. -One at a time (or two, if they fit) dip 4 bread slices in the egg mixture, turning to coat (don’t let the bread just sit there unless you want mush for breakfast). 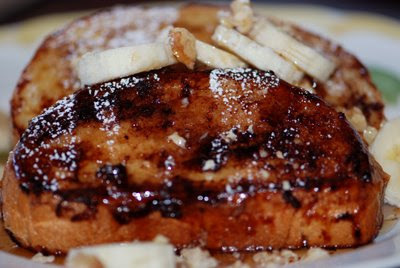 Arrange the dipped slices on the sugared’n’cinnamoned skillet and cook till nicely browned, 2 to 3 minutes. 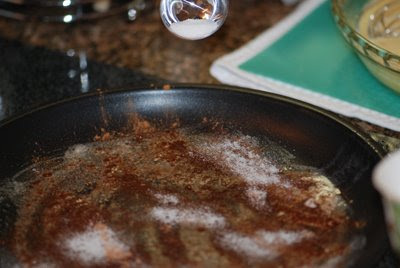 -While that first side is cooking, sprinkle the soggy side facing you with 2 TBSP. sugar and 2 tsp. cinnamon. 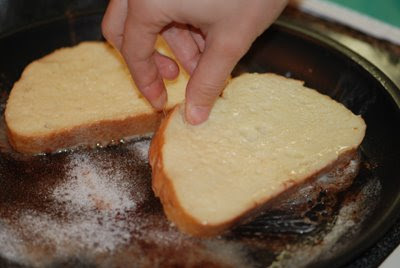 Flip bread and cook opposite side. You should have a lovely crunchy crust on your toast. Repeat dipping, buttering, sugaring’n’cinnamoning, and cooking with remaining bread slices. 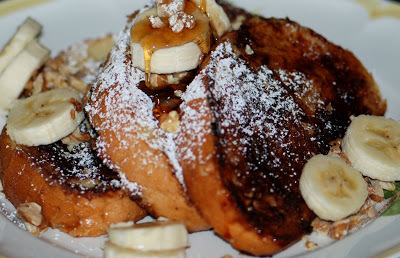 -Arrange French toast on plates and top with pecans and sliced banana. Sprinkle with powdered sugar and serve with maple syrup, if desired. NOTES: Under no circumstances should you use flimsy sliced white bread for French toast. It’ll soak up all the liquid and be a hopeless wet mop of a thing. Stick to heartier stuff like challah or those so-called Italian loaves… I like a croissant now and then (but then I top it with whipped cream and berries), but only if it’s a sub-par one – no sense in using a perfect specimen for this.